Star Wars Rebels considered telling the story that ended up being Rogue One. Before Lucasfilm decided to make a whole movie out of stealing the plans for the first Death Star, there was a brief moment we could have seen that on TV. 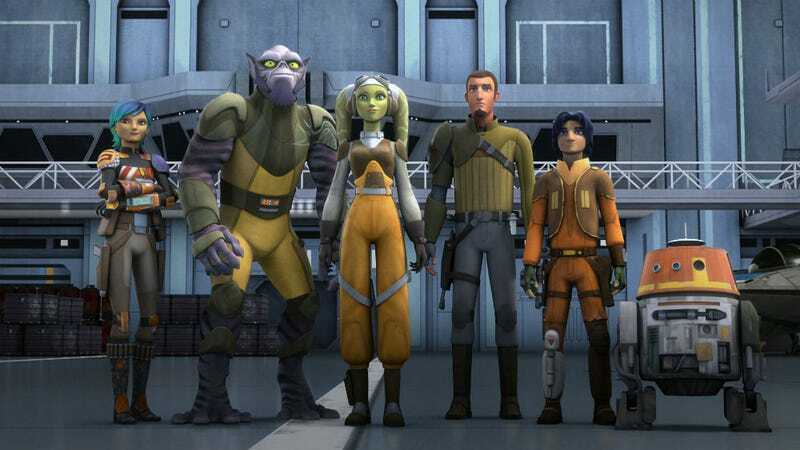 Speaking to Comic Book, Star Wars Rebels executive producer Dave Filoni revealed that early discussions regarding Rebels included what eventually became the plot of the film, Rogue One: A Star Wars Story. Which, of course, it ended up being, and it’s a story that’s not yet finished. But because the stories are in the same timeframe, Rebels does famously cross over with Rogue One. Chopper the droid makes a brief cameo, Hera Syndulla gets name-dropped, and her ship, the Ghost, is in the movie too. Plus, the Rebellion’s reluctance to fight in the film was a subtle wink to events on Rebels. Rebels, in turn, returned the favor. It brought in Rogue One (and original Clone Wars) character Saw Gerrera, and also teased the Death Star. So while Rebels didn’t end up telling the story we saw in Rogue One, the two stories ended up sharing a lot anyway.